I’ve added a third part to the YEAR OF THE BEAR for the nearby mountain town of Three Rivers currently inundated with bears. A good many of these bears are habituated Park bears, adept at breaking into cars for a bag of potato chips—mommy vans with sliders are the vehicle of choice. Breaking into a house is much easier. The bear population in California has more than doubled since 1982. Believe it or not, some residents have been feeding the bears and are vocally indignant and dismayed that some bears have been destroyed. Without thinking, Three Rivers has all the ingredients for a tragedy. 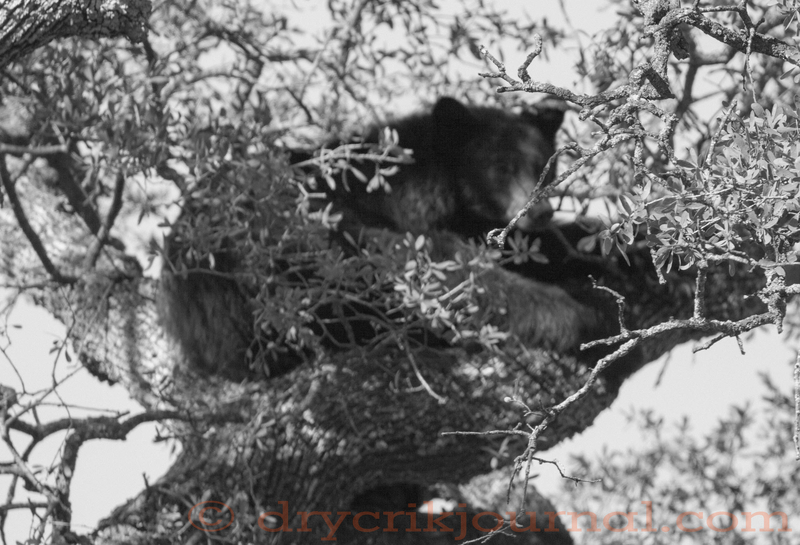 This entry was posted in Photographs, Poems 2015, Ranch Journal and tagged bears. Bookmark the permalink. Somebody should be hunting. THey can taste fabulous. They’d have to hide it from the Bambi people though.